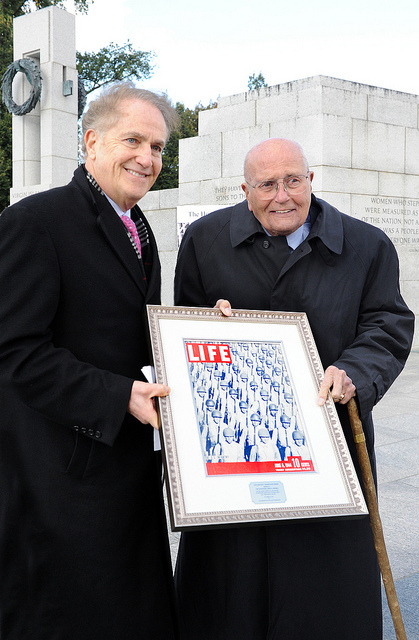 Washington, DC, February 8, 2019 – The Washington Oxi Day Foundation is saddened by the passing of our 2013 Greatest Generation Award recipient Congressman John Dingell, the longest-serving member of Congress in U.S. History. Congressman Dingell joined the U.S. Army in 1944 at the age of eighteen. He rose to the rank of Second Lieutenant and received orders to take part in the first wave of a planned invasion of Japan in November of 1945. Upon leaving the Army, Dingell received both his undergraduate degree in chemistry and a law degree from Georgetown University. Dingell was elected to the U.S. Congress in 1955 and represented Michigan’s 12th Congressional District for 59 years.